Why Did We Stop Growing Tall? 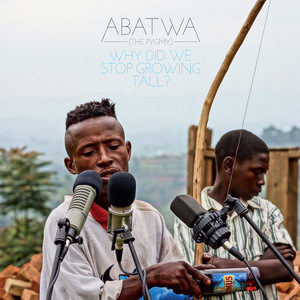 by Abatwa (The Pygmy) is an astonishingly adept piece of musical reclamation. The Abatwa people live on the margins of Rwanda – geographically and politically – and are multiply endangered. This vibrant music is recorded raw – instruments include thumb pianos and the lovely 11-stringed icyembe, but, best of all, the soulful vocals of the Abatwa themselves. Highly recommended. Frank London and the Glass House Orchestra imagine what Jewish Hungarian folk music would sound like today if the Holocaust had never happened. Astro-Hungarian Jewish Music (Piranha) is the result. A lot rockier than the usual klezmer. A decade ago, a group of musicians recording as Syriana released an album titled Road to Damascus. Five hauntingly lovely remixes from the album make up the new Ipiros EP (Real World, digital only). All profits go to International Rescue: Greece, a charity working at the frontline of Europe’s refugee crisis. 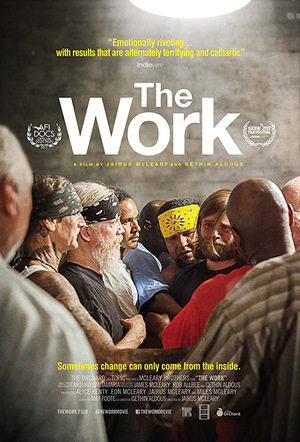 The Work is a doc about group therapy in high-security Folsom Prison, California. Serving sentences for gang-related crimes and violence, long-term prisoners reconsider their lives and see other possibilities. Impressive, convincing, but would be stronger with more context. Wind River is a big-scale Western-influenced thriller set on a Native American reservation in remote, mountainous Wyoming. A struggling community, good cops, bad oil guys, and a lone hero with a tragic past and kindness in his heart. In the edgy low-key thriller, The Scribe, politicians, their backers, and the secret service, collude to manipulate a French general election. A lonely workaholic is entangled in conspiracy and murder. To mark 50 years since the partial decriminalization of homosexuality in Britain, the BFI are releasing on dvd and Blu-ray the 1970s film versions of Joe Orton’s Loot and Entertaining Mr Sloane. Both wittily and relentlessly ridicule sexual convention, authority, hypocrisy and snobbery. 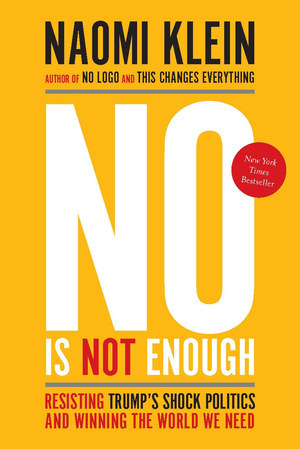 Naomi Klein’s new book, No is not enough: defeating the new shock politics (Allen Lane) is a timely and energizing antidote to Donald Trump’s tactics. Klein (author of No Logo, The Shock Doctrine and This Changes Everything) places the abomination of Trump in the bigger (and older) picture of corporate coup and brutish neoliberalism, before going on to articulate a blueprint for counterattack. A key message: there’s plenty of outrage and political activism (against racism, xenophobia, sexism, ecocide) but to be effective we must get out of our ‘silos’ and ‘surprise the hell out of ourselves’ by being united, focused, determined – and reclaim the populist argument. A must-read.